The nuclear summit between President Donald Trump and Kim Jong-un has collapsed after the two sides failed to reach a deal due to a stand-off over US sanctions on the reclusive nation — a stunning end to high-stakes meetings meant to disarm a global threat. In a news conference after the abrupt end to the talks, Mr Trump said the breakdown occurred over North Korea’s insistence that all punishing sanctions the US had imposed be lifted without Pyongyang committing to eliminate its entire nuclear arsenal……. 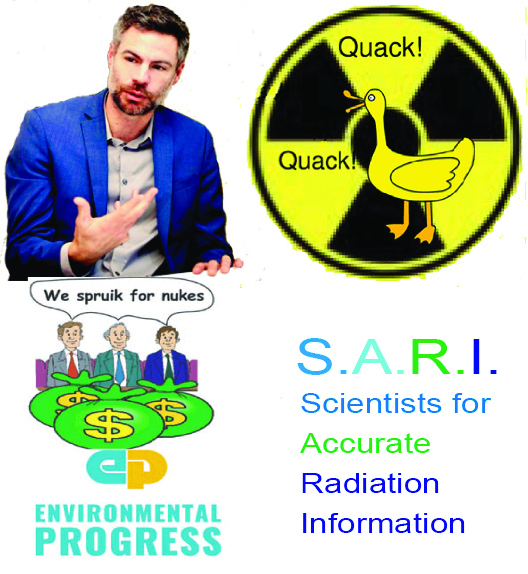 Fierce opposition to recycling radioactive soil from Fukushima http://www.asahi.com/ajw/articles/AJ201902260058.html, THE ASAHI SHIMBUN, February 26, 2019 How to dispose of mountains of soil contaminated by radiation from the 2011 Fukushima nuclear disaster poses a massive headache for the central government. Officials had long insisted that contaminated surface soil removed after the triple meltdown at the Fukushima No. 1 nuclear power plant would eventually be stored outside of Fukushima Prefecture. According to one estimate, the total volume of such soil will reach 14 million cubic meters by fiscal 2021. Local entities outside of Fukushima are understandably hesitant about serving as host to such vast quantities of possibly hazardous dirt. Officials in Tokyo are now hoping to sway local governments to act as hosts by proposing reuse of the contaminated soil for public works projects under certain conditions. One requirement would be that soil radiation levels below 8,000 becquerels per kilogram, the standard used by the government in classifying whether the waste material requires special treatment, could be used for various construction projects. This poses a dilemma for Fukushima Prefecture, which fears local residents will be stuck with the problem despite repeated pledges by the government to move all contaminated soil from the prefecture. Work got under way four years ago to move contaminated soil to intermediate storage facilities in Fukushima Prefecture. As of Feb. 19, the volume of soil transported to those facilities totaled 2.35 million cubic meters. Initially, the government set a target date of March 2045 for moving all of the contaminated soil outside of Fukushima to a permanent storage facility. However, discussions have yet to begin on where to build the structure. Koji Yamada, an Environment Ministry official who has been involved in the issue, conceded it will not be easy to find a candidate municipality for the facility. “We are now at the stage of trying to obtain understanding from a national perspective,” he said. Ministry officials say that reusing contaminated soil to reduce the volume that eventually will have to be moved to the final storage facility could win favor from some municipalities. A panel of experts set up by the Environment Ministry agreed in June 2016 that moving the entire volume of contaminated soil to a final storage facility is unrealistic. The panel suggested that reducing the volume of contaminated soil by reusing portions deemed safe under radiation standards now in place seemed to offer the best option in finding a candidate site for the final storage facility. It also proposed ways in which the soil could be reused; for example, in public works projects where the commissioning authority was clearly a responsible body. The panel also proposed using the soil for the foundations of roads and embankments. It said sufficient quantities were available to ensure stable maintenance over many years. When the panel met again last December, the members were briefed on the best-case scenario for the development of technology to reduce radiation levels in the soil. The most optimistic forecast was that as much as 99 percent of the debris could eventually be reused. Under that scenario, only 30,000 cubic meters, or about 0.2 percent of the total volume, would have to be moved to the final storage facility to be buried there. While Environment Ministry officials say that reusable treated soil would be considered for locations both within and outside Fukushima Prefecture, the only specific proposals made to date have been limited to three municipalities in Fukushima. Local residents in two of those municipalities, one of which is Nihonmatsu, have mounted petition drives and other activities to block the reuse of contaminated soil in their areas. They contend that allowing such plans to go ahead would be at odds with government promises to store the soil outside of the prefecture. The fact remains that the bulk of the contaminated soil is stored in Fukushima Prefecture. However, seven other prefectures also have a combined 330,000 cubic meters stored at various locations, such as parks and farmland. Since August 2018, the Environment Ministry has been trying to determine whether using contaminated soil for land reclamation projects would prove detrimental to the health of local residents. It has conducted field trials in Nasu, Tochigi Prefecture, and on the grounds of a facility operated by the Japan Atomic Energy Agency in Tokai, Ibaraki Prefecture. But Nasu resident Masato Tashiro, who has been following the issue, was highly critical of the six-month period authorized to confirm the safety of such soil. Reconstruction Olympics’ theme said not to have gathered momentum https://www.japantimes.co.jp/news/2019/02/27/national/reconstruction-olympics-theme-said-not-gathered-momentum/#.XHcN_IkzbGg KYODO AOMORI – Half of 42 municipalities in northeastern Japan hit by a massive earthquake in 2011 said the public is not fully aware of the government’s efforts to showcase the region’s recovery from the disaster through the 2020 Tokyo Olympics, a Kyodo News survey showed Wednesday. The Tokyo Organising Committee has promoted projects involving the disaster-stricken areas, such as holding baseball and softball games in Fukushima and starting the Japan leg of the Olympic torch relay in the prefecture, which was hit by a nuclear crisis in the wake of the earthquake and subsequent tsunami. Before the relay, the flame will be displayed in the three northeastern prefectures. The Fukushima city of Iwaki expressed appreciation over the move to highlight the recovery of the affected areas in the Summer Olympics. “Fukushima will be hosting some games and the torch relay will start here. We have been given certain roles to play,” a city official said. “The state needs to explain in detail to municipalities what kind of support it can offer, and the local governments should also rack their brains about how to link (the Olympics) to regional development,” Sanada said. 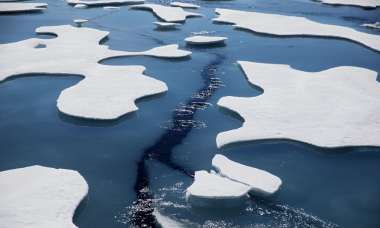 WASHINGTON — The Arctic Ocean could become ice-free in the summer in the next 20 years due to a natural, long-term warming phase in the tropical Pacific that adds to human-caused warming, according to a new study. In doing so, he has declared the return of great power global rivalries, with China and Russia as the biggest threats to US power. The Trump administration’s plan to sell nuclear technologies to the Saudi Arabian regime is a case study in the decay of American imperial power, the essential corruption of the Trump White House and the self-serving and reckless character of the military-industrial complex. After two years of this administration, it is shocking, if unsurprising, that President Trump shows flagrant disregard for the law, is hypocritical with regard to his claimed desire to ‘drain the swamp’ of big money lobbying and is enabling the intensified militarisation of great power geopolitical rivalries. In so doing, Trump has accelerated longer-term trends begun under successive previous presidents since the end of Second World War. He has declared the return of great power global rivalries, with China and Russia as the biggest threats to US power. But Trump is not alone in this drive to further destabilisation: the Saudis have also shortlisted Russia, China, France and South Korea to bid for nuclear contracts. Russia has already signed nuclear power agreements or understandings with Egypt, Jordan and Turkey. And China’s Belt and Road Initiative features plans to build nuclear plants in dozens of countries on the Silk Road; China has signed nuclear cooperation agreements with Saudi Arabia, Egypt, Armenia and the UK. There have been reports that Russian and Chinese firms would cooperate with other states’ nuclear plans in West Asia, including Trump’s, but that Obama-era US sanctions on Russia stood in the way. If taken seriously by the numerous investigating bodies focused on the Trump White House, this may well prove to be a key driver of Trump’s relatively non-hostile rhetoric towards President Putin. But this ramped up cooperative competition for markets and contracts, and other pending arms deals, may also explain the immediate reasons why the Republican president ignored CIA intelligence that Saudi Crown Prince Mohammed bin Salman had ordered and directed the killing and dismemberment of regime critic and Washington Post columnist Jamal Khashoggi. The gruesome killing of the journalist – a member of Trump’s “enemy of the people” fake media, as opposed to his supporters at Fox News – could hardly be expected to hold up the brutal jockeying for advantage in the world’s most volatile – and tragic – region. 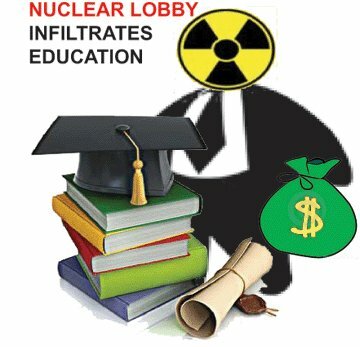 An interim report by the Democrat Elijah Cummings-chaired House Committee on Oversight and Reform, based largely on credible whistleblower accounts – including emails and other documents from within the White House itself – suggests that Trump and his trusted lieutenants, in particular, Jared Kushner, regardless of legal advice to the contrary, are finalising plans that may violate the Atomic Energy Act 1954, which provides powers to Congress to oversee the sale and use of nuclear technologies…….. Conflicts of interest abound in this matter. Trump acolytes are looking to make billions of dollars by winning fees, commissions and contracts in Saudi Arabia. What is sold as an attempt to make Saudi Arabia less reliant on fossil fuels for revenues, and more secure against regional powers like Iran and Syria, appears to be a rather unsubtle money grab. At the centre of the controversy is IP3 International, a firm whose leadership reads like the membership list of the morally and intellectually bankrupt military-industrial complex. Its name, according to its website, is an abbreviation for ‘international peace, power and prosperity’. Before digging a little deeper into IP3 International, it’s worth looking at where within the Trump camp this scheme originated and developed. Retired General Michael Flynn’s name is all over this plan. His Flynn Intel Group consultancy is closely linked with IP3 International’s plan to build dozens of nuclear reactors in Saudi Arabia and across the Gulf states. Flynn pushed the Saudi plan before and after the 2016 election, once he was named national security adviser and even after he had been dismissed for lying about his discussions with the Russian ambassador about US sanctions; he’s currently awaiting sentencing for lying to the FBI, among other things. Kushner, Trump’s son-in-law, troubleshooter and West Asia peace envoy, has been praising and protecting the Saudi crown prince as some sort of Kemal Ataturk-like visionary set to drag the kingdom and the region into the 21st century. Kushner has links with Westinghouse Electric Company – a nuclear services breakaway from the original Westinghouse Electric Corporation – and its current major shareholder, Brook Asset Management, which is closely linked with IP3 International. Trump’s inauguration lead and close confidant, Tom Barrack, was reported by the New York Times as having raised investments topping $7 billion since Trump’s nomination, with a quarter of that deriving from the UAE and Saudi Arabia. Barrack justified his and the Trump administration’s business dealings with Saudi Arabia by praising the economic vision of the kingdom’s “young, brilliant new leader”. He justified the killing of Khashoggi thus: “Whatever happened in Saudi Arabia, the atrocities in America are equal or worse than the atrocities in Saudi Arabia.” Skullduggery, falsehood and self-interest justified by a self-serving admission of truth, while Trump’s brutal anti-immigrant policies and defence of police killings continue apace. IP3 International and Flynn Intel Group are core drivers of the programme, as are ACU Strategic Partners – a nuclear power consultancy led by Alex Copson, who was advised by Michael Flynn; and Colony NorthStar, Tom Barrack’s real estate investment firm. IP3 International’s leadership team is almost a case study of the military-industrial complex. Of its leadership team of 21, there are five retired US generals and four retired US Navy admirals. Among its three co-founders are General John ‘Jack’ Keane and Robert ‘Bud’ McFarlane. An architect of Reagan’s Star Wars nuclear programme, McFarlane is a convicted felon from the Iran-Contra scandal – found guilty of illegally selling arms to Iran during the Iran-Iraq war to illegally fund the Contras fighting the revolutionary-democratic Sandinista administration in Nicaragua. Congress had banned US aid to the Contras at the time. McFarlane spends some of his time promoting US wars via the Committee on the Present Danger. He is a non-executive director of the British military corporation Aegis Defence Services, which has ‘offices’ across West Asia. General Keane retired from the military in 2003, became an analyst with Fox News and advised on the US occupation of Iraq. He was an architect, along with Fred Kagan, of the murderous 2007 “surge” in Iraq. Keane is a director of General Dynamics, consultant-advisor for the Erik Prince-founded private military company Blackwater, now called Academi, and executive chair of the Humvee manufacturer AM General. Finally, ambassador Denis Ross is on IP3 International’s advisory board. Ross, a Democrat, has faithfully served American imperial power for decades – under both Republican and Democratic presidents. IP3 International opens its coffers and serves both parties. Ross is an arch-Zionist, indeed named as such in Walt and Mearsheimer’s The Israel Lobby as a key supporter of AIPAC. He advised Hillary Clinton on West Asian affairs, and considers the Saudi crown prince a true “revolutionary”………. Kushner heads off to West Asia in the final days of this month to continue discussions on the nuclear programmes. President Trump is reported to have attended a meeting on February 12 at the White House with private nuclear corporations including Westinghouse, General Electric, and AECOM, “led by General Keane… ,” according to the congressional report. Northern Japan likely to experience a magnitude 7 or 8 earthquake in the next 30 years. A MAGNITUDE 8 or 7 earthquake will likely hit Japan along the so-called Ring of Fire in the next 30 years, Japanese geologists have warned. By SEBASTIAN KETTLEY, Express UK , Wed, Feb 27, 2019 A Japanese Government panel said on Tuesday, February 26, the risk of a major earthquake in the near future is high. A magnitude 7 or 8 quake is expected to strike the Japan Trench just off the northeast coast of Japan. The oceanic trench forms part of the Pacific Ring of Fire – a hotspot of volcanic activity and earthquakes along the basin of the Pacific Ocean. Japan’s Earthquake Research Committee said there is at least a 50 percent chance of magnitude 7 to 7.5 earthquake in the Fukushima Prefecture……..
What is the Ring of Fire?The Ring of Fire is a major hotbed of seismic and volcanic activity stretching along the horseshoe-like basin of the Pacific Ocean. Approximately 90 percent of the world’s earthquakes strike along the Ring of Fire. And about 75 percent of the world’s active and dormant volcanoes are found in this part of the world. How about this weird weather we’ve been having? It’s a common query around the Pacific Standard office, and for good reason: Abnormalities such as the recent cold and snow in Southern California capture pretty much everyone’s attention. Climate change is significantly increasing the chances of more unsettling weather in the years to come, including longer and more severe heat waves. But if you’re hoping the strange conditions will inspire people to realize that something profoundly dangerous is occurring—and will prod politicians into acting—new researchsuggests you’re likely to be disappointed. February 28, 2019 Hanoi, The White House abruptly banned four US journalists from covering President Donald Trump’s dinner on Wednesday with North Korean dictator Kim Jong-un after some of them shouted questions at the leaders during their earlier meetings.Reporters from the Associated Press, Bloomberg News, the Los Angeles Times and Reuters were excluded from covering the dinner because of what White House press secretary Sarah Huckabee Sanders said were “sensitivities over shouted questions in the previous sprays”. Among the questions asked of Trump was one about the congressional testimony of his former lawyer, Michael Cohen. The White House’s move to restrict press access was an extraordinary act of retaliation by the US government, which historically has upheld the rights of journalists while a president travels overseas. It was especially remarkable because it came during Trump’s meeting with the leader of a totalitarian state that does not have a free press. Trump’s exchanges with Kim were being covered by the standard 13-member travelling White House press pool, but ahead of the dinner Sanders sought to exclude all reporters from the pool and permit only the photographers and television crew, citing “sensitivities over shouted questions in the previous sprays”. Reporters for the three wire services, as well as a second print pooler, were excluded. They included two journalists who had asked Trump questions in the earlier appearances: Jonathan Lemire of the AP and Jeff Mason of Reuters. Also excluded were Justin Sink of Bloomberg and Eli Stokols of the Los Angeles Times………..
Lauren Easton, a spokeswoman for the AP, said in a statement: “The Associated Press decries such efforts by the White House to restrict access to the president. It is critically important that any president uphold American press freedom standards, not only at home but especially while abroad.” . What the planet needs from men . New York Times – it’s time to panic about climate change. Sudden rises in methane levels – scientists warn on need for urgent action on climate change. U.N. Secretary-General Antonio Guterres urges the United States and Russia to save nuclear arms safeguards. INDIA. India. With escalating tensions between India and Pakistan, could India consider a pre-emptive nuclear strike? 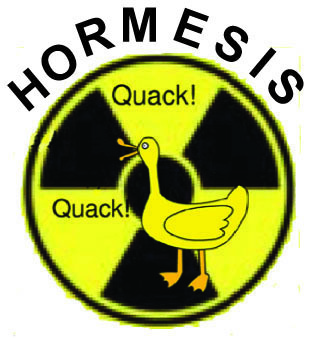 Union ministry of mines protects beaches from mining for thorium. PAKISTAN. Tensions in Kashmir: Pakistan readies for war. RUSSIA. Russia flexes nuclear muscles , warns on its ability to strike nuclear targets in USA. Call for Solidarity with the Russian Environmental Organization Ecodefense. BELARUS. If USA US deploys nuclear weapons in Europe RUSSIA and Belarus will consider a joint military response. JAPAN. Okuma, the host town of crippled nuke plant to lift evacuation order. Japan and Tepco again ordered to pay damages to Fukushima nuclear disaster evacuees. Tokyo governor won’t speculate on Olympic bribery scandal. Robot claw grasped bits of molten nuclear fuel in Fukushima reactor. Probe shows challenges posed by melted nuclear fuel at Fukushima plant. NORTH KOREA. North Korea sees nuclear weapons as key to its survival. North Korea blasts Japan, claiming that Japan in “nuclear weaponizing”. FRANCE. France’s nuclear corporation, EDF, faces the first of many mammoth nuclear plant burials. FINLAND. Safety problem at Areva’s Olkiluoto nuclear reactor in Finland. BELGIUM. Three Green MP’s arrested after anti-nuclear protest at Belgian military base. Global weapons trade, war profiteers, booming, in the era of Donald Trump. Danger signs in Trump and Co’s continuing push to sell nuclear technology to Saudi Arabia. Senior White House officials, retired generals and Trump’s close relatives continuing secret deal to sell nuclear technology to Saudi Arabia. U.S. Congress starts investigation into Trump administration’s plan to build nuclear reactors in Saudi Arabia. Donald Trump involved in murky effort to get Qatari investment for the Tennessee nuclear power project. Trump’s son in law Jared Kushner linked to unusual dealings about nuclear reactor sales to Russia – Congressional report. Ending The U.S. Doctrine of Perpetual War. U.S. Department of Energy changed safety rules for nuclear lab – workers excluded from health oversight. Waste Isolation Pilot Plant under federal investigation for worker exposure to radiation and chemical hazards. Utah Senate gives preliminary approval to bill that could usher in millions of tons of depleted uranium. Bill Gates at Global Energy Forum just quietly did not mention his $7 billion involvement in unsatisfactory radioactive waste management company. Utility JEA on the hook for billions of dollars for Vogtle nuclear station. Tough times ahead for America’s nuclear industry. Pressure on California’s Governor Newsom to Inspect Aged Diablo Canyon Nuclear Unit One Before it Re-Fuels. Nuclear kickback scheme in tickets for sports events. Alexandria Ocasio-Cortez’s Green New Deal seen as a winner. William Happer, a climate sceptic, to be appointed to USA’ s White House climate change panel. UK. Britain’s energy policy in a right mess, as new nuclear power stations are shelved. A hard Brexit is going to be really hard for UK’s nuclear industry. Packed church in East Suffolk hears residents’ opposition to Sizewell C nuclear project. Church of England backs further action on climate change. Offshore wind could replace UK’s failed plans for new nuclear power. IRAN. Iranian Foreign Minister Mohammad Javad Zarif accuses USA of hypocrisy over planned nuclear technology sales to Saudi Arabia. International Atomic Energy Agency says that Iran is sticking to the terms of the nuclear deal. Iran’s nuclear power station struggling financially. SOUTH AFRICA. South Africa inquiry hears how former president Jacob Zuma pressed for ‘astronomically expensive’ nuclear deal.